Hey, pretty girl! How about a pretty bird to keep you company in the pool? 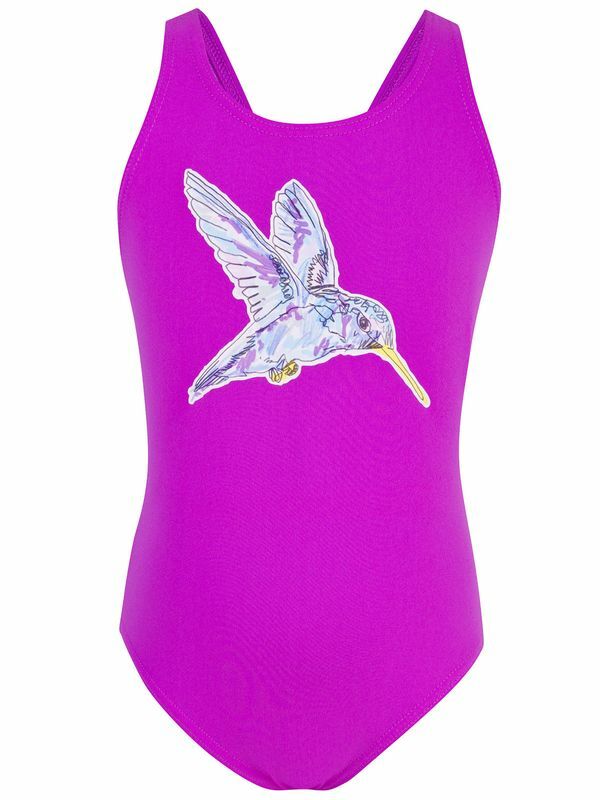 In the vibrant fuchsia Rival Hummingbird Toddler Girls One Piece with its gorgeous watercolour hummingbird in beautiful shades of violet, sky blue, and lavender, your little girl will be flying high the pool! Best of all, the Rival Hummingbird Toddler Girls One Piece is more than just an amazing look! Made with Rival Resist chlorine resistant fabric created with technically advanced stretch polyester yarn, this one piece fits like a dream and offers three-way stretch technology that’ll let your little one fly through the water distraction-free.